We've had multiple requests lately to expand our Miata apparel offering. 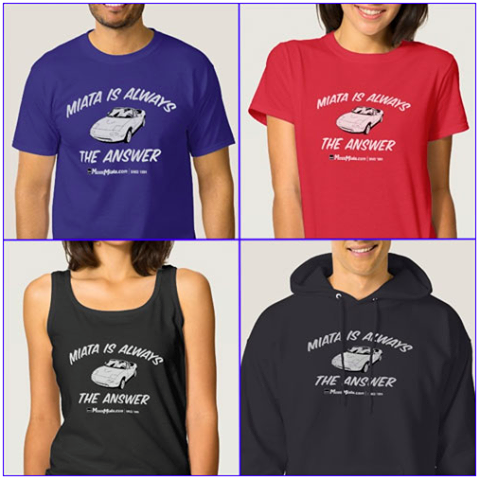 We think the best way to do so is to offer our popular designs through our Zazzle store. That way you can buy men's or women's sizes and styles, in a wide variety of colors. Right meow we have one popular design available to customize.